This page best experienced using Internet Explorer! Welcome to Tony's & Sara's Page! So... Who's ready for a Royal Vacation? Can't you just hear that ocean now? Does a week of sun, sand and Caribbean surf sound good to you? 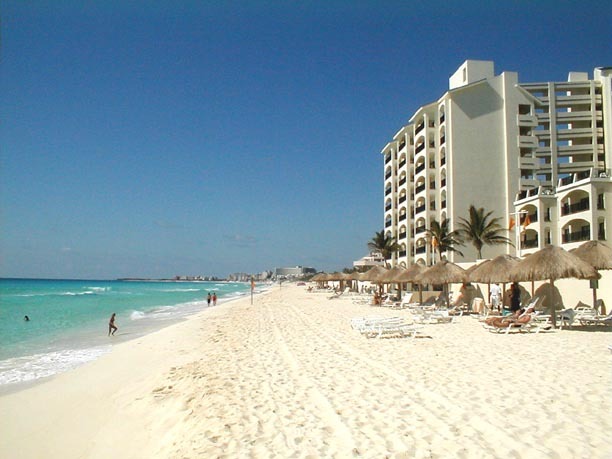 This luxury resort, one of the top ten in the world as rated by Timeshare Users Group, is located in Cancun, Mexico. A week here is a week in paradise, and it's easier than you think! Follow the links for more gorgeous pictures, and information how you can leave your tracks on the white sands of Cancun with our vacation rentals. We can put you in this picture! It's easier than you think! BEACH VACATION OF YOUR DREAMS!